I come from up North. To be more specific, I come from Virginia, where we have four seasons, the holidays being considerably chilly. A family holiday session in South Florida in December is much different. Up north, we require a whole lot more planning and layers of clothes. South Florida … well, we’re in the tropics! Families can get away with jeans or shorts, tank tops or sweaters. It’s amazing how different it is and while I’m still adjusting (as I’ve only been a Florida native for six months now), I’m also loving it! We have more months out of the year where I can spend photographing families, both new and repeating, and that we can shoot either at the home, a local park, or the beach! Yes, the beach! The beach in December is still an option! When Alisha, an executive consultant at Rodan + Fields and a Coral Springs mommy of two, contacted me, we were able to relate to each other since we are both relatively new to the area. 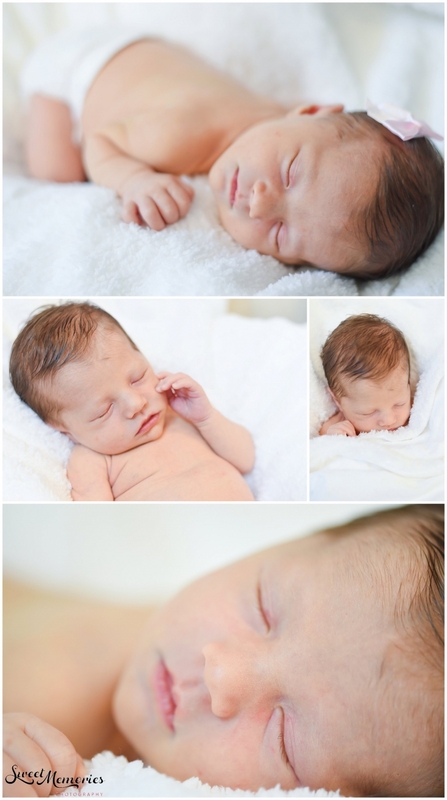 She wanted a combination of a newborn session and a family one, to celebrate the three new exciting chapters in her life: moving to Florida, buying a house, and becoming a mom to newborn Elizabeth! We were able to combine the two in two different locations, one being their new home in Coral Springs and the other being the Fort Lauderdale beach. This family of four make my heart melt! Beautiful, kind, energetic, and fun, the Gifford family were a pleasure to work with and so photogenic! It’s not every day that a photographer has a newborn sleep during their entire session so needless to say that I was impressed when Elizabeth slept through every position, blanket and location change, and prop addition. She even slept through our entire family session at the beach! Warren was quite the feisty little guy, as most little boys are, who wanted nothing to do with me and the camera but everything to do with the water! For me, this is the perfect opportunity to capture real moments and interactions, but makes it quite challenging when you’re trying to get that holiday card photo! Luckily we were able to snap some quick ones in between play time at the boardwalk and dipping his toes in the water!